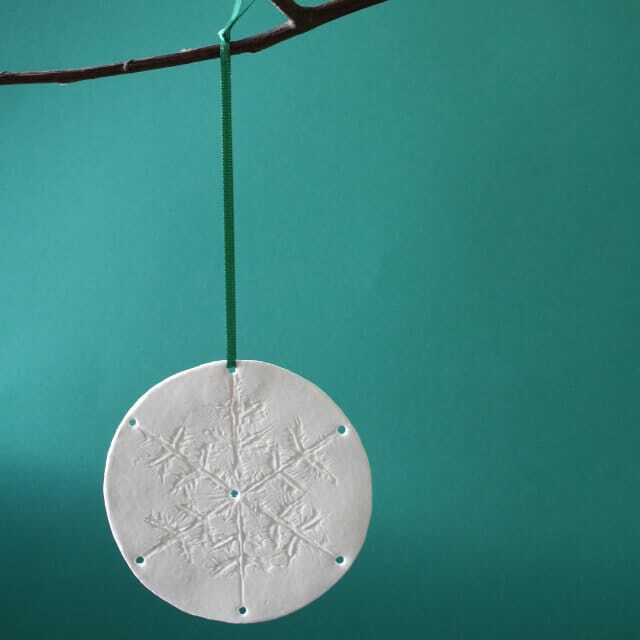 This beautiful decoration works best with light, so hang it in a window or use it with fairy light or tea lights. 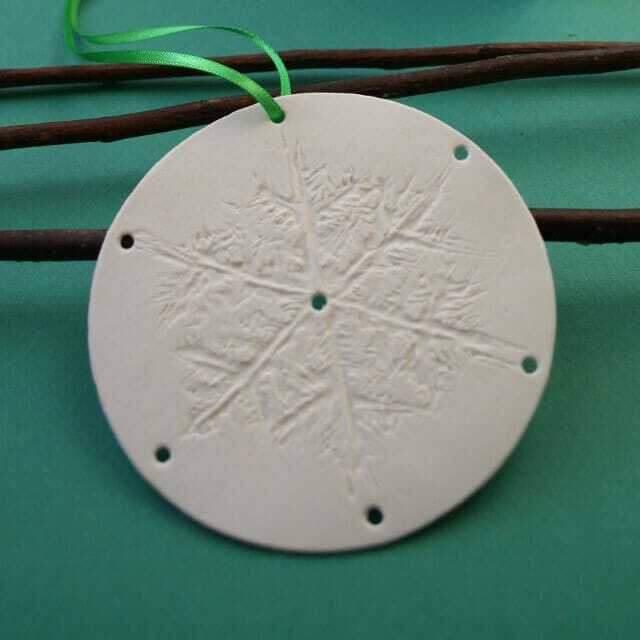 Made of high fired white porcelain, the snowflakes are etched into the surface of the clay to create a soft and translucent effect. 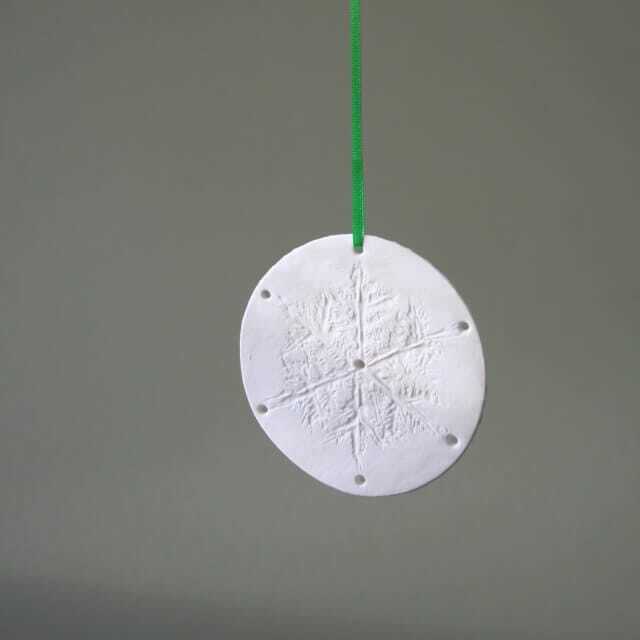 This beautiful decoration works best with light, so hang it in a window or use it with fairy light or tea lights. Carol Sinclair creates all her work using delicate and translucent porcelain, and this style lends itself really well to hand making these beautiful decorations. 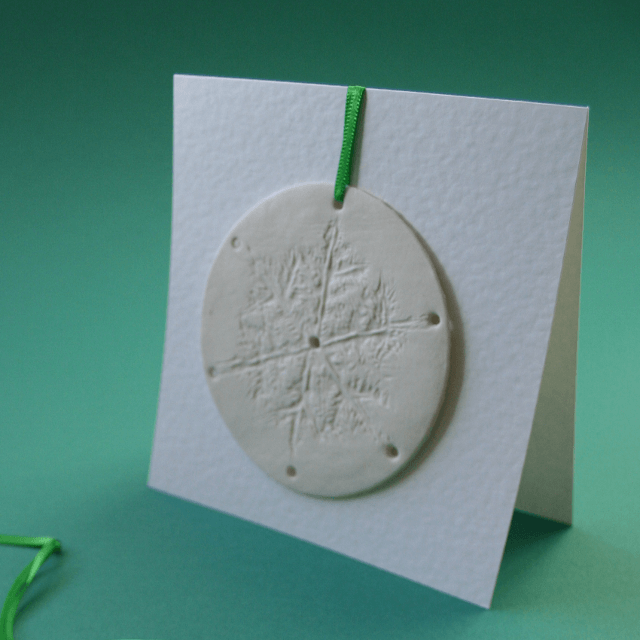 They are hung on satin ribbon and presented on a card, so make ideal Christmas presents that last for years to come.